Coffee and design, a perfect combination. This month is extremely exciting because we are able to announce that Code Black Coffee is the exclusive distributor of the exciting and beautifully designed coffee range from St Anthony Industries. St. Anthony Industries was started by three brothers, Khristian, Gregory and Ike Bombeck. The Brothers are taking their years of experience as coffee professionals and designers to create simple, easy to use and beautifully designed coffee tools. 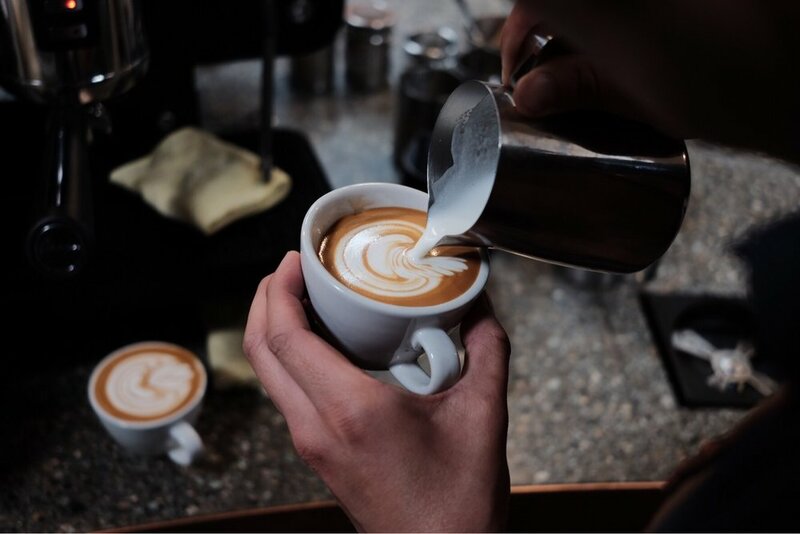 Every coffee tool is made with the barista in mind and the products are tested out with coffee professionals before it ever hits the shelves. In celebration of this partnership, Code Black have given 3tt members something absolutely delicious to enjoy. For Espresso drinkers, they have delivered on their classic 3056 Blend. It is a medium roast, and it’s slick malty profile means it it can be used for both milk and espresso. We love this blend with its beautiful rounded sweetness and balanced citrus flavours; an excellent blend anytime, anywhere. For Filter drinkers, a stunning Kainamui from Kenya. The Kainamui station is situated on the Mt Kenya slopes at a high altitude, 1750 MASL, within the Central province widely known for its mineral-rich volcanic loam soils ideal for coffee production. This washed coffee brings about flavours of blackcurrants, citrus & black tea, and will make your morning cup shine. These coffees, together with their unique partnership with St Anthony Industries, make for a great way to kick off 2017 with a tribute to what can be achieved when amazing coffee and beautiful design team up together.